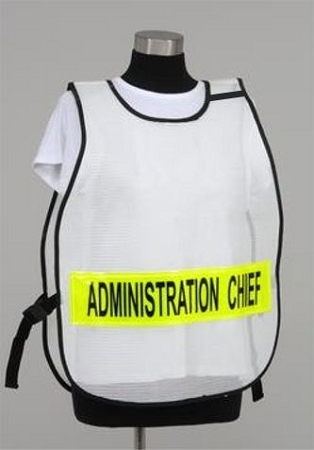 People have asked us for this for years for High-Quality vests with Interchangeable titles to add flexibility and lower costs. As rolls change in a developing incident, the title can be changed without having to change the whole vest. 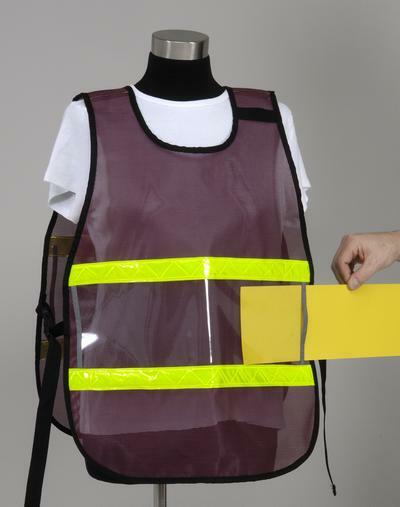 Lowers costs by not having to stock different sizes of vests and multiple vests in a vehicle for the same person. Constructed of extra strong vinyl coated nylon mesh, edges bound and stitched with binding. Adjustable on each side with side release nylon buckles. Sold separately, you can attach a 4 inch x 18 inch reflective panel (with velcro backing) to the vest to quickly change your titles based upon your event. 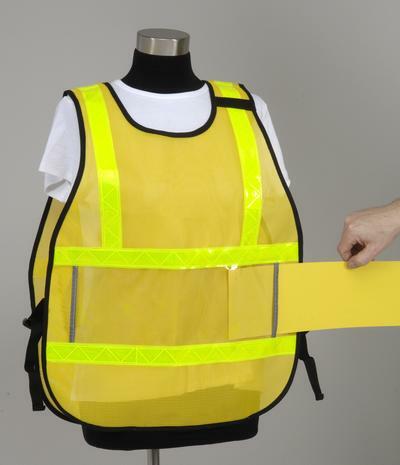 Vest includes vertical reflective stripes for increased visibility. Excellent for paramedic or first responding crews and in use today with USAR teams. Designed with our standard high quality workmanship. Wt. 12 oz. 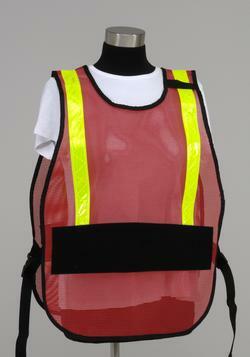 Vest Size: 26 inches long by 20 inches wide with 18 inches straps expands 42 inches to 76 inches. Note: This is for the VEST only. 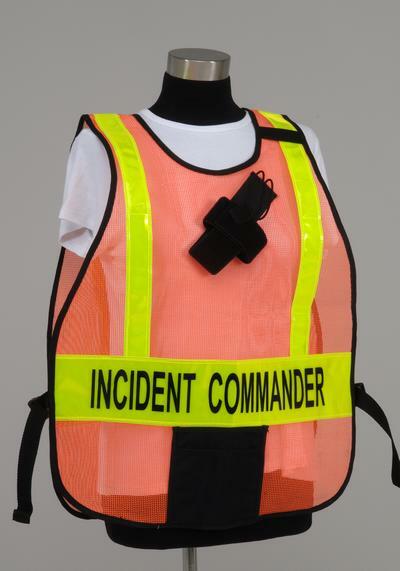 To Purchase the interchangeable panel sets that go with this vest style, Reflective Vest Titles.